Monster Hunter World was one of the biggest games of 2018, and the future looks bright for the game well over a year after launch. In this Monster Hunter World guide, we'll be providing you with a complete list of essential tips and tricks that all new and veteran players alike should know, as well as putting together a list of our individual guide pages on the huge game. 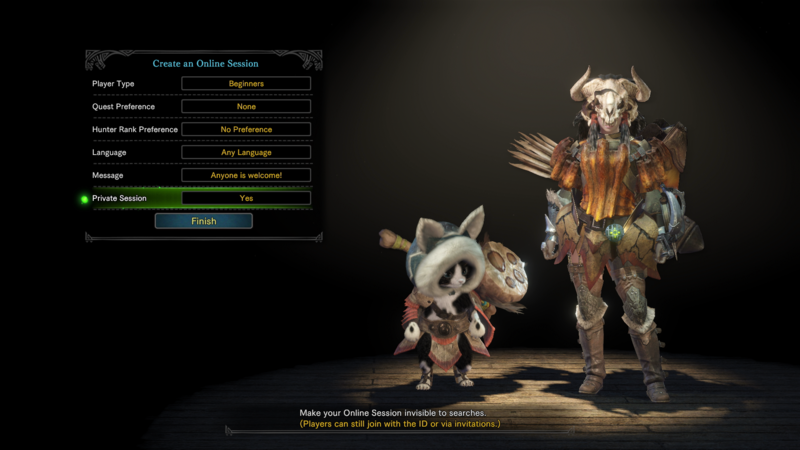 Once you've fully customised and created your player character and loveable Palico companion, you'll find yourself aboard a ship bound for the 'new world', a continent that the Fifth Fleet have been charged with making safe for settlers. It's your task therefore, to hunt down and kill the most dangerous monsters in this mysterious new land, all of which have different strengths and weaknesses, as well as different habitats and hunting habits. Monster Hunter World launched back near the beginning of 2018 on PS4 and Xbox One, but it launched later on in August on the PC, through Steam. Just below, you can check out a brief range of essential tips and for the game, for all platforms. See those green foating things? Those are the Scout Flies, and they guide you to various new details in the surrounding area. These can include monster tracks, such as footprints and deceased prey. Whenever you discover a monster detail in the environment and interact with it, your tracking meter for that monster will go up. Keep increasing this tracking meter to the maximum, and you'll pinpoint the location of the monster on your map. Remember to always craft potions using Herbs before and during a quest-simply hit the pause button and select 'Crafting Menu' if you need to craft an item like a health potion on the fly. To deal significant damage to a monster and bring it down quickly, you'll need to target the weak points of a beast. Try hitting different limbs and areas on a monster. If the damage marker coming off the monster is a bright orange, then you've managed to land a critical hit on a weak point of the monster. Always target the weak points of monsters, and you'll eventually be able to break parts of the beast for increased rewards when the quest is done. You can even cut the tails off of larger monsters. 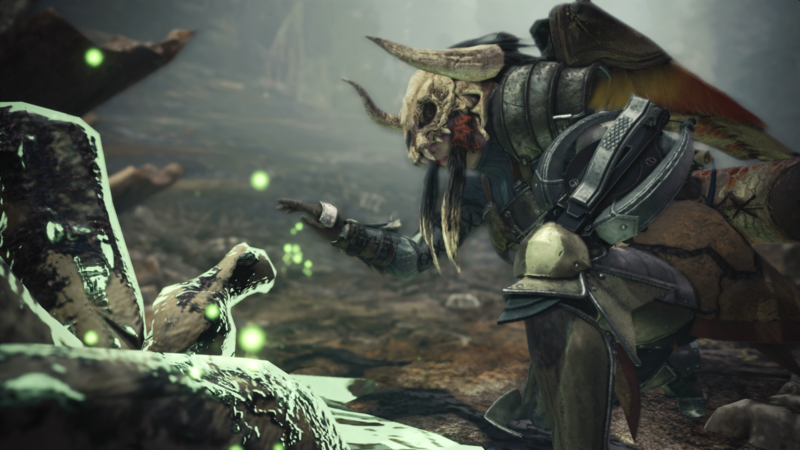 Head over to our Monster Hunter World DLC schedule guide for all the latest information you need for new, upcoming events for the game, as well as all the future DLC that Capcom have planned. 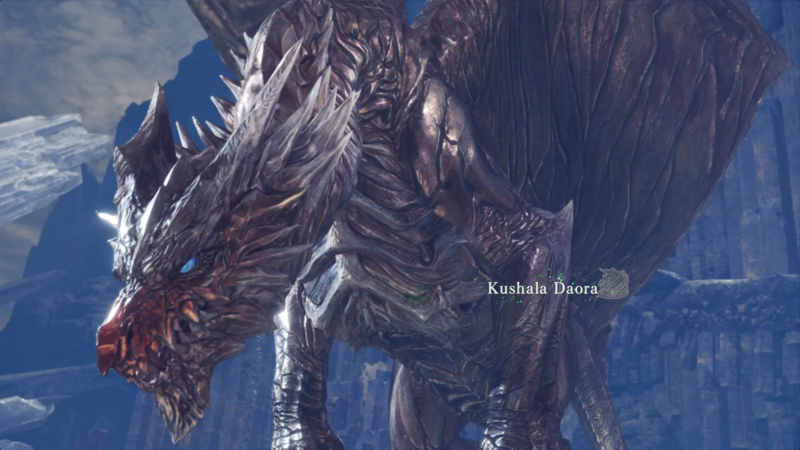 Included in this is the upcoming Deviljho DLC creature, that looks set to be a challenge to even the most experienced hunters. Otherwise, we'll give you this introductory lesson to Monster Hunter World. The gameplay loop might seem overly simple at first: embark on a quest to kill a monster, track down said monster, kill said monster, come back to base to reap the rewards. There are a lot of other factors to consider however, such as what sort of wildlife you'll encounter, as well as how you can use the Scout flies to track down certain environmental items, that you can then use to create gadgets and potions. 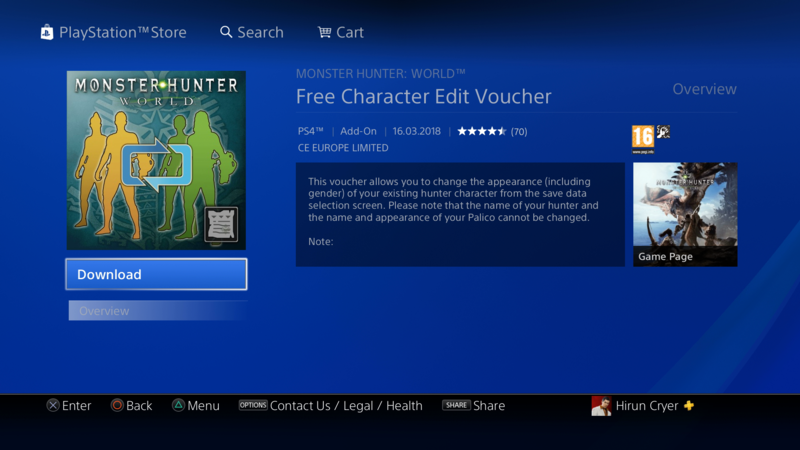 As of March 16, Capcom has given every Monster Hunter World player a single Character Edit Voucher, as a way of completely redoing your Hunter if you aren't happy with the way they look. To obtain your Character Edit Voucher, simply head to the PSN or Xbox Live Store, and download the item as you see it just below. Keep in mind that this is the only Character Edit Voucher that you'll get until later in Spring, when Capcom will start charging money for the vouchers. We'll start with the Scout flies. While you're running around a map, you'll see a green trail in the air moving away from you, to point out interesting items nearby, such as plants and animals. These are the Scout flies, and they can help you track down a monster. While you're exploring a map, you'll eventually come across the traces of a monster, be it footprints, slime, or other marks in the environment. Interact with these, and you'll gradually build up the Scout fly meter, eventually enabling the Scout flies to hone in on the monster and lead you right to your prey. Next, there's the plans scattered around every map to consider. If you press down the Options/Pause button, you'll bring up the main menu, which you can then select the 'Crafting List' option from. This will now bring you to a complete list of items you can craft while on the go, including potions, traps, and ammunition for weapons that fire shells or arrows. Next to each crafting option, you'll see the items that you require to craft the item, and if you don't have enough of the items that you need in order to craft, you'll have to explore the map, using the Scout flies to find them for you. 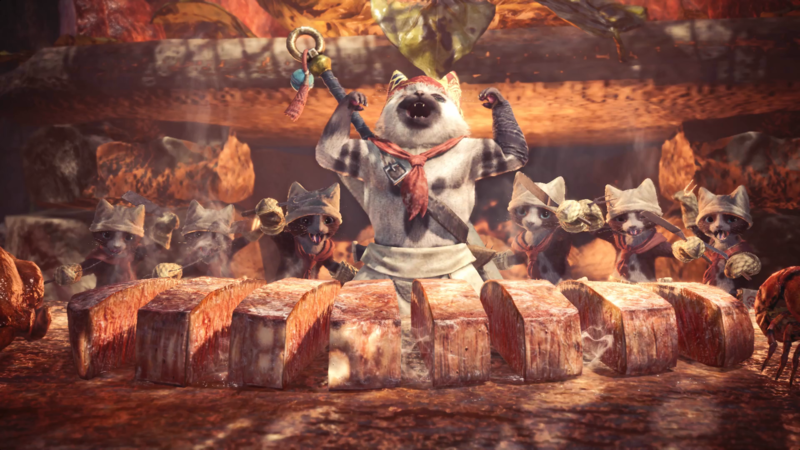 Money is a huge part of Monster Hunter World, as it’s the only currency that you can use to both upgrade your weapons and armor, as well as craft new gear to use in the battlefield. Earning money isn’t an easy feat in this complex game, as your primary way of earning money is to take on quests and expeditions, defeating monsters and earning a nice payout in the process. Not only will you be paid for each monster you kill while roaming areas like the Ancient Forest and Wildspire Waste, but you can then sell monster parts that you scavenge for money. As soon as you finish your expedition or quest, you’ll be taken to the rewards screen, where you can see all the monster parts and other items like mining ore that you’ve managed to stock up. If you simply want to earn some Zenny quickly, then hit the ‘Sell All’ option at the bottom of the rewards screen, and you’ll instantly be given money for all your items, without having to visit a shopkeeper or vendor. We should urge caution when doing this however, as you don’t want to accidentally sell an extremely rare item that you might need down the road for crafting a high end piece of armor or weapons, like the Anjanath Plate. 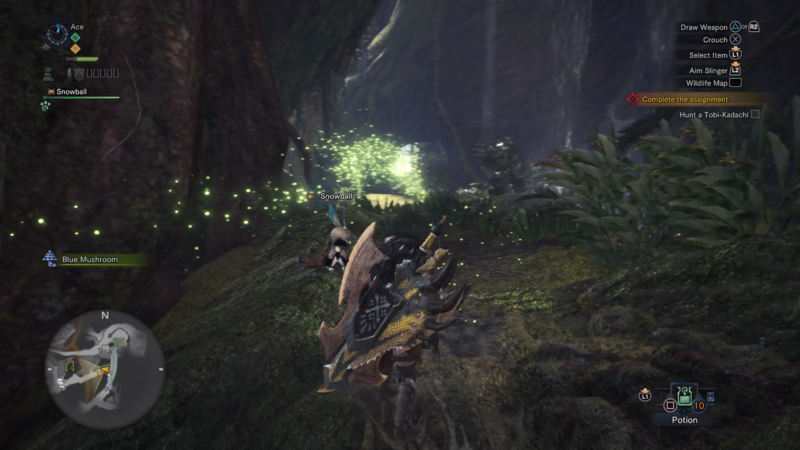 Another great technique for earning money quickly in Monster Hunter World is to simply farm the Great Jagras in the Ancient Forest for monster parts. 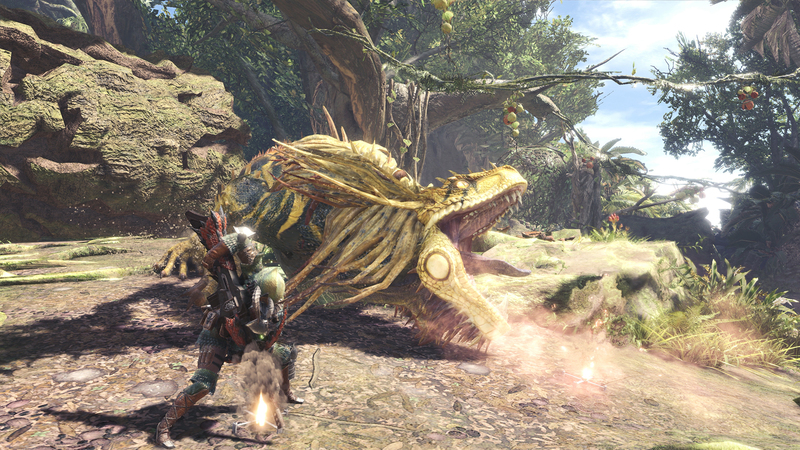 If you start at the Southwest Camp, the Great Jagras will always be in or near the open area to the northeast, since it preys on the Kestadon living their. Eat some food at the camp that bolsters your stamina or attack damage, and then equip the most powerful weapon you have in your inventory. 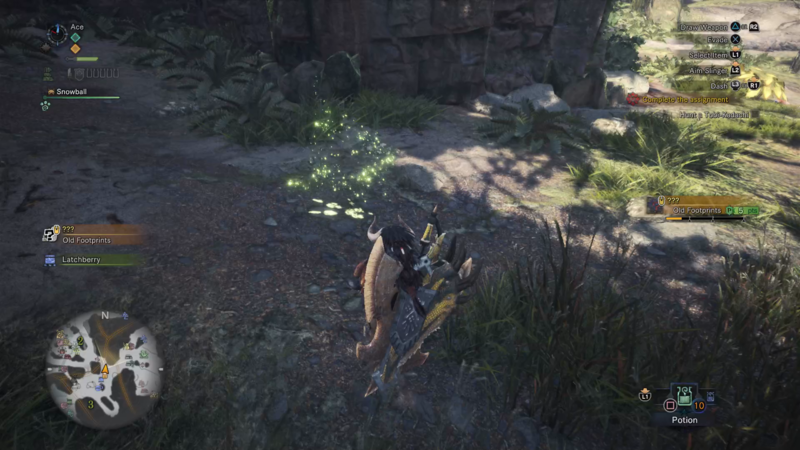 Repeatedly target the head of the Great Jagras to stun it, and with a heavy weapon like the Hammer or Switch Axe in your possession, you shouldn’t have any trouble taking out the beast quickly. 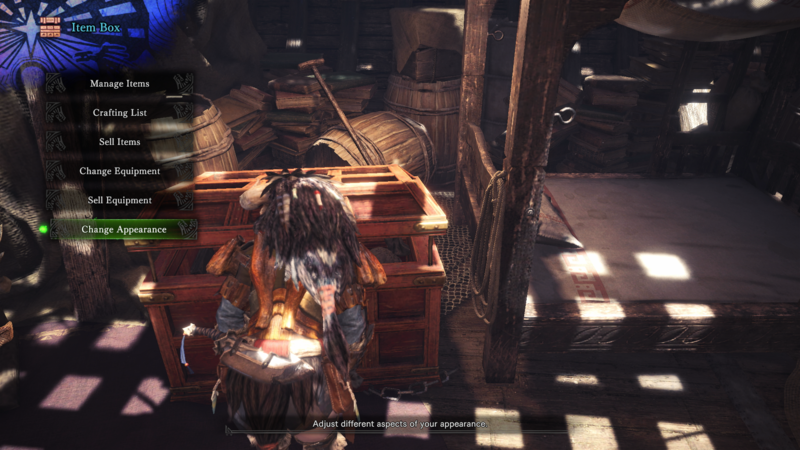 Every Large Scale you obtain from the Great Jagras will sell for 1,000 Zenny, and every Small Scale you obtain will tell for 500 Zenny. It’s an incredibly quick way of earning some decent money, and off a low level monster at that. Then there's the quick access menu to consider in the bottom right of the HUD. This menu lets you access certain items quickly from your inventory, and then press Square/X to use them. You can customise the items in this quick access menu by pressing the pause button, and choosing the 'Item Pouch' option, and then press Triangle/Y to bring up the item bar itself. You can now change the quick access menu to your liking, and position certain items like Potions and Mega Potions to make sure they're always near the beginning of the bar, so you can use them as quickly as possible. Speaking of switching up your items, Monster Hunter World is the first game in the series that lets you change your equipment and weapons mid-mission, not forcing you to exit the mission if you find your weapon redundant against your foe. Changing your equipped weapon is actually simple: all you have to do is head to any base camp on the map (you can pull up the map by pressing the middle button on the PS4 controller or the 'back' button on the Xbox One controller), and head into the tent. 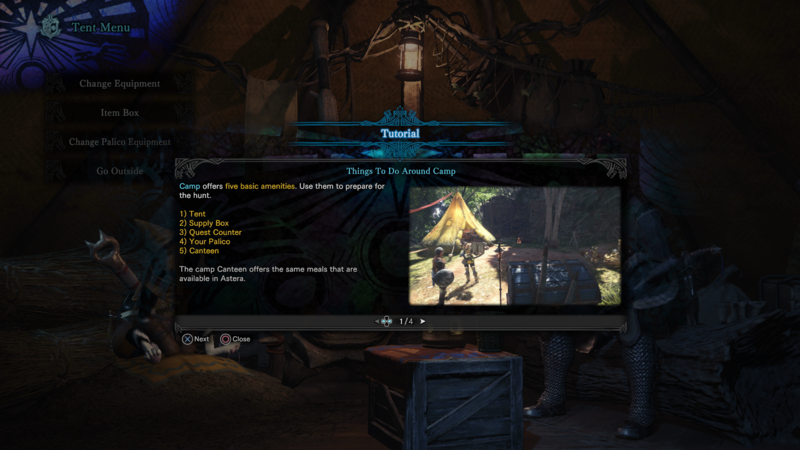 While you're inside the tent, you'll be given the option of changing your character's weapons and armor items. That's all there is to it - changing your equipment and weapons in Monster Hunter World is surprisingly simple for such a complex game. In the ‘Settings’ tab of the pause menu, select ‘Options’. Under ‘Reticle Direction’, select ‘Character’s Direction’. Press right on the D-pad to see the next set of options. Under ‘Camera Reset Settings’, select ‘Direction of Character’. We should note that this doesn’t mean your character will constantly be facing the monster that you’re fighting, but it does mean that the camera will always be focused on the monster. This means that you can hang back and drink a potion or sharpen your weapon, without taking your eye off the monster that you’re fighting. As we mentioned, you can head to the quest boards to help out other players online, responding to their SOS Flares of distress when they need help with a certain powerful monster, or simply joining them on an easy expedition. The benefits of playing online is that you can effectively take down monsters far quicker than you would be able to on your own, saving you valuable time if you're after, say, a Great Jagras Scale to craft a new piece of gear. Alternatively, you also might want to play Monster Hunter World entirely on your own. To do this, you'll have to set up your own private online session, which you can only do from the main title menu of the game. Once you've selected the character that you want to load up with, choose the 'Create an Online Session' option, and you'll be asked to input your preferences for the session. Select the 'Private Session' option near the bottom, and select 'Yes', effectively making your online session invisible to the outside world. 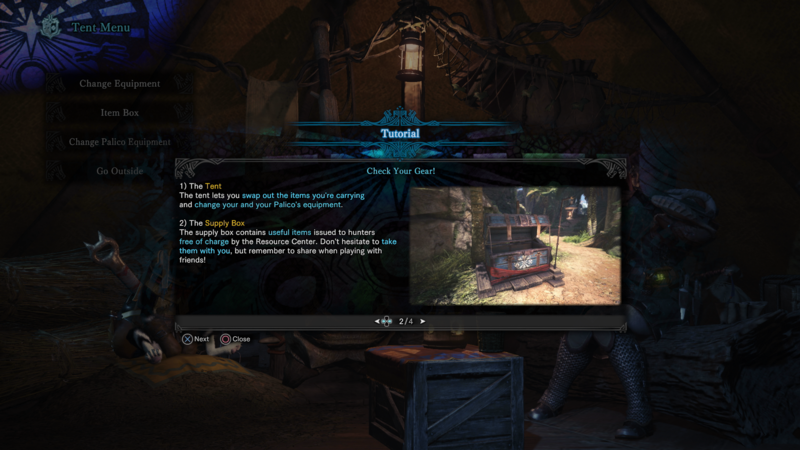 Now you can play Monster Hunter World all by yourself, which you might prefer if you want some peace of mind from other hunters dropping into your session at random and potentially messing up your specific quests. 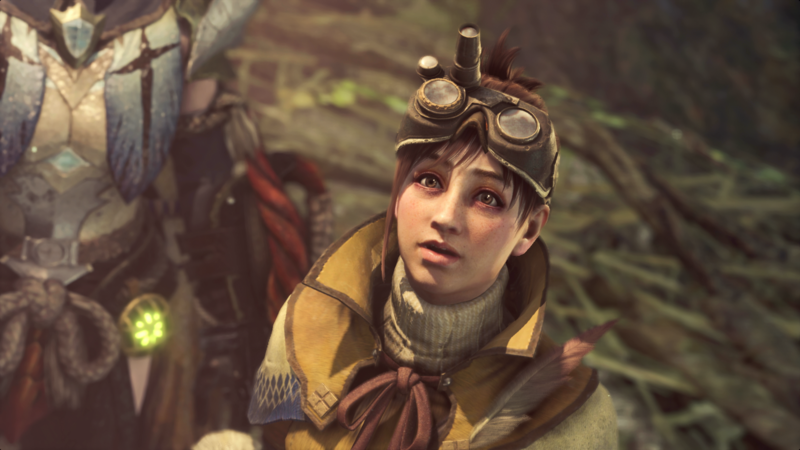 Say you don't like the design that you gave your hunter when choosing their appearance at the beginning of Monster Hunter World. How can you change the way they look? If you go to the Tradeyard floor of the hub area, you can find your own personal room near the table where the Commanders are gathered. The entrance is covered by a big white curtain, so it's fairly hard to miss. Once inside, head to the Item Box in your room, and you'll be given the 'Change Appearance' option for your character. This does exactly what it says on the tin, and you'll be taken back to the character customisation screen that you were presented with right at the beginning of Monster Hunter World. Don't worry about completely messing up your character though, you can change the tiniest details to them without completely resetting the customised character you have. 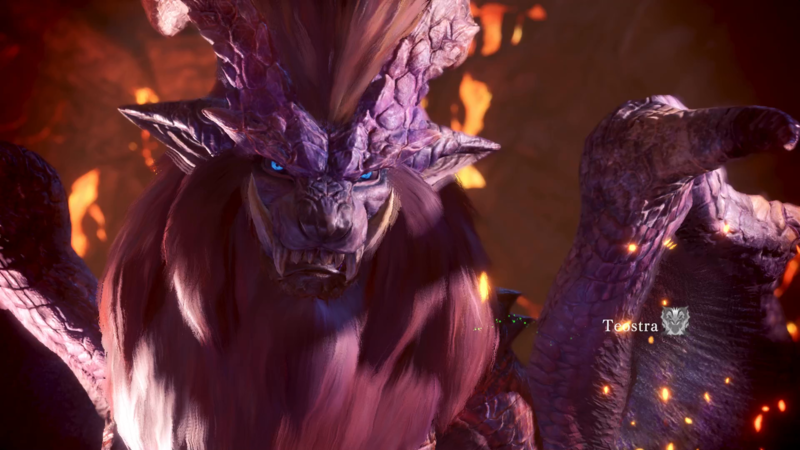 This might be the conclusion of our Monster Hunter World guide for beginners, but make sure to check out the variety of additional guides we have on the expansive game, for help with certain quests and monster, including the Great Jagras, Barroth, Anjanath, and more.